Space Invaders Arcade Machine. Image author – Billy Hicks. In 1978 a game was born. This game was one of the most successful games of all time. Even to this day, itâ? ?s still one of the most challenging and fun games to play. Many of the adults today who grew up in the 1980’s still get a great sense of nostalgia when they are reminded of this amazingly fun game. This game is called Space Invaders. 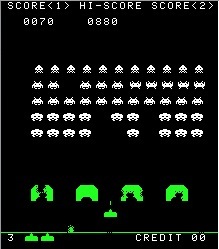 Space invaders was created by Tomohiro Nashikado, after being inspired by having a dream about Japanese school children being attacked by invaders from space. The original arcade version was hugely successful, and when Atari released it on the Atari 2600 console, it quadrupled the sales of the gaming system! The story of the game is exactly what the title indicates. Aliens are invading from outer space! What could be cooler than that? You walk outside one day and look up, and aliens are slowly floating down from the sky! It’s as if alien paratroopers are floating down and shooting down at everyone on the ground as they slowly fall. In addition, there are also space ships flying around up above the aliens. If you can destroy these space ships, you can bag a big bonus to your score. As you destroy more aliens, they begin to move faster after each kill. 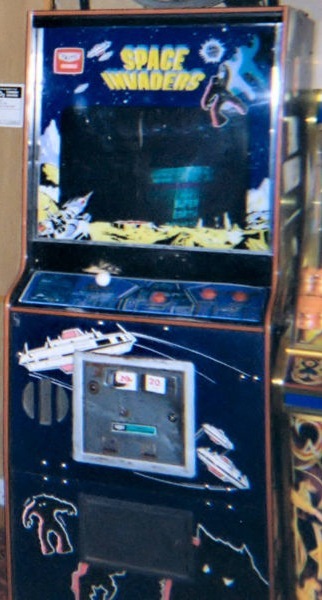 Eventually you will have one alien left that is blazing cross these screen, back and forth, at a speed that makes it a true challenge to target. You really have to lead your target when shooting the last few aliens! A feature of this game that provides some exceptional strategy is the shield mechanic. There are shields that you can hide your laser cannon under. While your laser cannon is near these shields it will shoot rapidly. This is because the game is designed where you can only have a few laser blasts on the screen at any given time. Since your laser blast fades quickly, due to the shield stopping it, you can shoot much faster. These shields will eventually be destroyed during game play. One major difference in the Atari 2600 version is that even on the first level the shields are moving from side to side! This makes staying under them even more challenging, and adds a whole new level of difficulty to the shield strategy. Each level speeds up and the colors of the enemy change as you progress to the next level. The point of Space Invaders is to get your score as high as possible before you lose all your ships. This is one of the games where the goal of getting a high score is implemented in a way which actually makes it fun to pay attention to your score. You will want to blast everything that you can in order to get your score as high as possible. A quick Google search on virtual Atari 2600 will get you into a true retro experience of the game of Space invaders within a few clicks! There are also a whole host of browser based versions available as well. You can even download many different renditions of this much loved game from Google Play or from the App Store. For the most part, these apps are totally free! There is even a version called Space Invaders Infinity Gene which is being touted as neo-retro version of the game. It starts out identical to the original version of the game, but the more you play, the more the graphics and game play evolves to take advantage of all that modern gaming devices have to offer! It’s lucky that Tomohiro had such a strange dream, otherwise we would not have had such a giant of a game appear for our entertainment that will never die in popularity. Click here to find out what Atari’s worst ever game was . . .
Space Invaders Infinity Gene sounds good, I’ll check this game out . . .